In many markets, low price means low quality. To some extent, this is also true in the snus world. 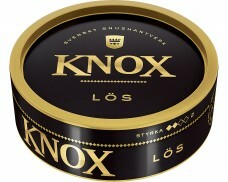 Some manufacturers create budget snus by using cheap ingredients and inferior production methods. 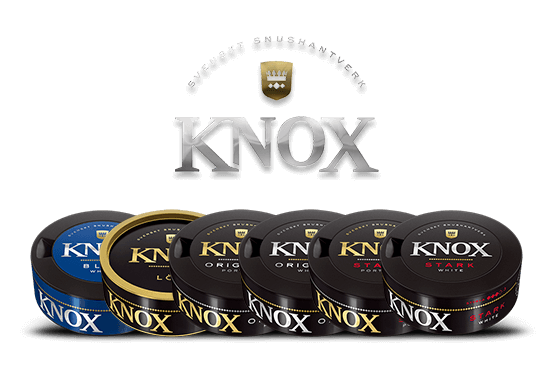 Skruf Snus AB went a different route: Knox is able to be offered at a reasonable price because the manufacturers reduced everything to the essentials. There are no fancy gimmicks and there is no big catalogue of flavors. 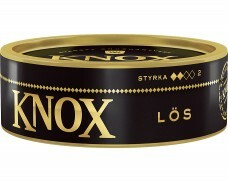 Instead, Knox offers traditional Swedish flavors in different variations. All of their snus is clearly centered around tobacco flavors and reminds of the snus Swedes consumed centuries ago – even though the brand only launched in 2006. The brand’s simplistic approach also shows in the can design. The sleek black can with gold or silver communicates high quality and simplicity. 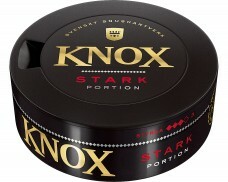 That’s why many traditional snus lovers enjoy Knox so much: They get a classic, solid snus at a reasonable price. When opening a can, a rich tobacco smell fills the nose. Hints of citrus and slight sweetness complement the tobacco aroma to create a balanced, pleasant smell. Placing a pouch in the mouth confirms what the smell indicated: When the flavor develops, it’s clear that this snus is centered on a robust tobacco. A citrus flavor accentuates the flavor and hints of sweetness balance the overall picture. In the background, a subtle saltiness adds complexity, while muted floral accents round off the flavor profile. Knox is available as Original Portion, Loose, White Portion and in strong versions of Original and White Portion.